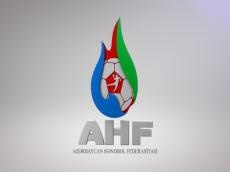 The Azerbaijan men`s national handball team will take on Cyprus, Georgia and Malta at the Group B of the EHF EURO 2022 Qualification Phase 1 tournament. The games of the group will be held in Cospicua, Malta. Eight teams playing in two groups will compete for the two places that ensure progression to the next phase of the qualification process. The winners will qualify for the “relegation round”, which will also feature the three lowest-ranked teams among the fourth-ranked teams from the Men’s EHF EURO 2020 Qualifiers.